Three police officers were hospitalized after becoming dizzy and falling sick with feelings of nausea at the scene of a fatal fentanyl overdose in Massachusetts. Two officers with the Sterling Police Department and a trooper with the Massachusetts State Police suffered the opioid exposure while responding to a report Friday of a unresponsive male at a residence on Lucas Road. 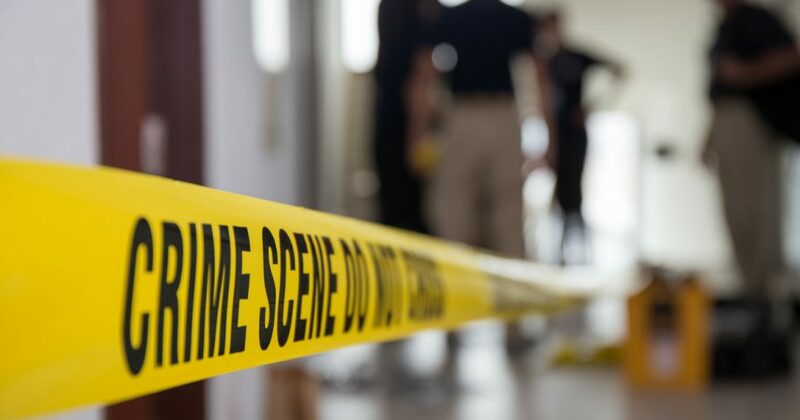 Emergency crews declared the victim dead, however, while searching the premises the officers discovered “an unidentified powder-like substance” that was “poured onto a table,” reports Mass Live. The Sterling Police officers and state trooper soon began showing signs of fentanyl exposure, and were subsequently taken to a local hospital for treatment after being examined at the scene by emergency crews. “The officers and trooper all described feeling dizzy and nauseous with a tingling sensation,” a spokesman for the Sterling Fire Department said in a statement, according to Mass Live. All three officers were successfully treated and released from the hospital. Fentanyl, a synthetic opioid roughly 50 to 100 times more powerful than morphine, is blamed as the primary fuel of the current opioid epidemic ravaging the country. Only 2 milligrams of the synthetic opioid can cause an adult to suffer a fatal overdose. The substance caused three exposure scares Wednesday at prisons in Ohio and Pennsylvania. One incident occurred at Ross Correctional Institution in Chillicothe, Ohio, on Wednesday morning after nurses and correctional officers responded to the cell of an inmate who began to exhibit signs of an opioid overdose. Do you think more should be done to stop the opioid epidemic? The apparent overdose exposed 23 prison guards and four nurses to what officials with the Ohio State Highway Patrol later confirmed to be fentanyl. Authorities locked down the cell block for decontamination and said all affected are successfully recovering. Five workers at the Albion State Correctional Institution in Erie County, Pennsylvania, became sick in a similar incident Wednesday morning after being exposed to an unknown powder, along with two workers at the Somerset State Correctional facility in Somerset County, Pennsylvania. All seven workers were taken to local hospitals for treatment. Pennsylvania Secretary of Corrections John Wetzel issued an indefinite lockdown order Wednesday for all state prisons and ordered an investigation into the incident. Drug overdoses, fueledare now the leading cause of accidental death for Americans under age 50, killing more than 64,000 people in 2016, according to the Centers for Disease Control and Prevention (CDC). Officials say preliminary data shows drug overdoses killed roughly 72,000 people across the U.S. in 2017.